Telus Mobility is one of Canada's largest mobile phone networks. Telus Mobility is also known by many for it's extremely poor customer service. So, if you're considering a telus mobility phone be careful. Telus Mobility plans are competitive (like the telus flexible share plans), and often sound good on the surface, but if you've been around the block a few times, you know that it's all about customer service. Sure telus mobility phones are nice; they carry some of the best handsets on the market exclusively. Be aware though, if the my telus mobility system creates an error on your telus mobility online bill, they are not going to change it. Even if you can prove beyond a reasonable doubt, be prepared to be treated with disdain. This is my experience, and many others' too. If you're wondering just do a search online for: I hate Telus. There's over 93,000 results. If you're not a Telus Mobility customer yet, check out fido.ca. Fido is likely the best carrier for the average consumer. 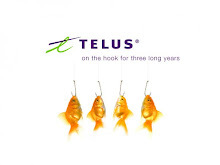 Quite simply their plans and customer service are far superior to what you'll find at Telus Mobility. If you are already with Telus Mobility, you can always port your telus mobility number over to another carrier. This would be my honest recommendation. I just canceled by phone with Telus Mobility about a week ago. I moved and hour and a half from my old home and I was racking up long distance charges like crazy. I called them and changed my plan a few times. But my bill was always over 115$. I tried the favorite five, long distance minutes. There were so many extra charges. I really don't use my phone all that much. I just got out of a 3 year contract and it felt great! I will never sign a contract again. I was paying absurd amounts of money. When I called to cancel they tried to get me on another plan and I was offered 100 minutes free long distance and other benefits that I never got offered before when I would complain about my bill and wonder why it was so high. I will never deal with Telus again. 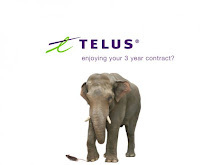 If you are on a contract with Telus I would highly recommend that you wait until your contract is up or they will charge you a minimum of $100 and most likely more if you port your number over early.